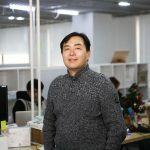 Charlie Lee is the CEO of True Balance. Charlie has won recognition for playing pivotal roles in the growing and leading of well-known businesses of mobile service segment from carrier billing and VAS(Value-added-service) to Smartphone apps in 5 different countries in Asia Pacific. He developed True Balance business model and launched a commercial platform for smartphone users to check the balance and recharge by utilising this app.